These revelations among the many (Vault 7, Torture, Diplomatic cablograms), by Assange’s Wikileaks, these transgressions in the eyes of the US ruling elite, struck at the very foundations on which the edifice of “American exceptionalism” is built, namely, the democracy that is meant to be a light unto the world, and the “just wars” that flow from a missionary zeal to make the world safe for democracy. The media and politicians accordingly crow about the “beautiful missiles” and other high-tech weaponry that will be employed in the ensuing humanitarian interventions, while omitting to mention that the military-industrial complex that benefits so much from endless wars may be the very donors who fund the warmongering politicians into office, and that the warmongering editorial line of newspapers may be influenced by share portfolios of the editors themselves. The mainstream media will never tell us that the reason why Washington has been at war for half of the last two centuries is because of US imperialism. They will never tell us that the ceaseless interventions are driven by an insatiable greed for resources, or often enough by the simple desire to plunge a country into chaos if its recalcitrant leaders refuse to genuflect appropriately and show due respect. In the same way, by pulling back the curtain to show how the Democratic primaries were a farce, Wikileaks revealed how the concept of democracy in the United States is worn out and in fact now non-existent. The political parties are fed and controlled by donor money, and the accompanying media coverage can be bought, allowing for tens of millions of Americans to be fed on a steady diet of false news, lies and promises that will never be kept. It becomes clear, reading the revelations published over the years by Wikileaks, that terms such as democracy and R2P are nothing more than excuses and justifications for the US to bomb whomever it wishes. The moneyed interests ensure the election into office of those who can be relied upon to look after the interests of the 1% at the expense of the 99%, all the while giving moral lectures to the rest of the world while ignoring the inherent double standards. This Australian has succeeded in simultaneously becoming the number one enemy of the military-industrial complex, the Democrats, and therefore for all American Russophobes. 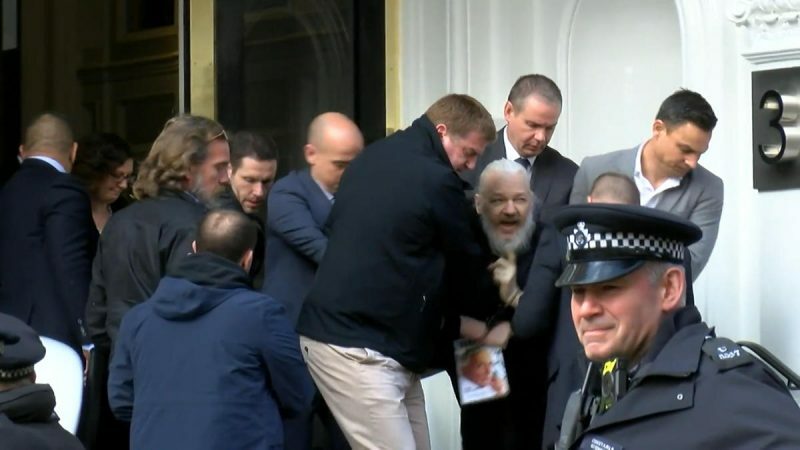 He did his job so well that he managed to become a target of practically all of the Washington establishment, which is determined to lock away the likes of Assange and Snowden (if only they could) and throw away the key. His destiny seems marked, with a probable extradition to the US, where a secret trial based on false accusations awaits him, without him even being able to examine the evidence with a lawyer. They would have sent him to Guantanamo at an earlier time, but the effect is the same. Of course this is not bad news for everyone, with many rejoicing at the news of his arrest. 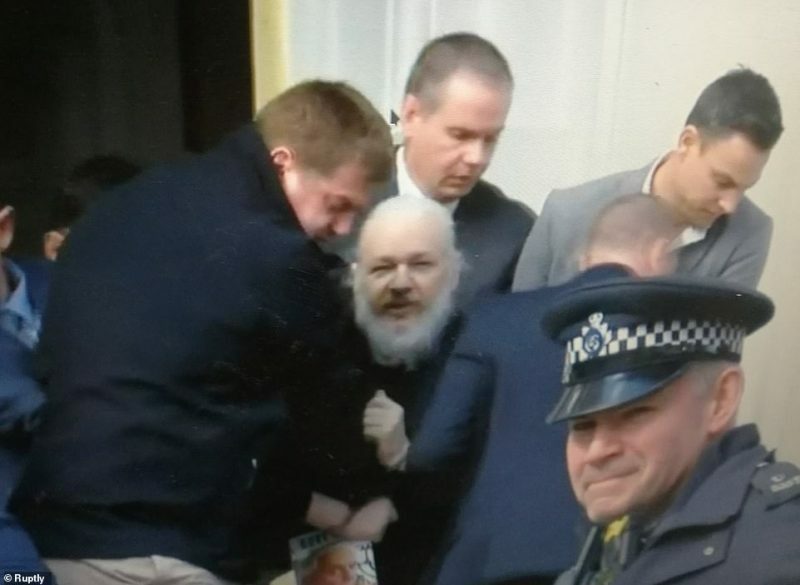 All the #MeToo crowd and groups related to human rights applaud Lenin Morero’s decision to kick Assange out of the embassy and his arrest by the British police. Those who would be expected to make their voices heard reveal themselves to be agents of imperialism by their shameful silence. Print and broadcast media outside the US play their role in contributing to a wave of disinformation, omissions and lies in the interests of US propaganda. They may be divided over US presidents and their preference for Democrats or Republicans, but they are firmly united in the belief that that Washington (and Tel Aviv) is always in the right. In the meantime, we see more and more wars caused by the US, whether directly or indirectly and regardless of who sits in the White House. True, authentic journalism disappears under the waves of censorship. In the West, lies and fake news runs rampant, and the three-year Mueller hoax will be remembered in history as a prime example of how the elite can program the minds of tens of millions of citizens by simply repeating again and again a complete and utter falsehood without any supporting evidence. Assange’s arrest and those of Meng Wanzhou, chief financial officer of Chinese technology company Huawei, and Marzieh Hashemi, anchorwoman for Iran’s English- language Press TV, leads us to pause for a moment to reflect on the changes taking place and on how the US empire is reacting aggressively to the ongoing transformation from a unipolar to a multipolar world. The loss of prestige, respect, dignity, loyalty and honesty are all consequences that the US now faces, partly as a result of the excellent journalistic work of Wikileaks over the last 15 years.